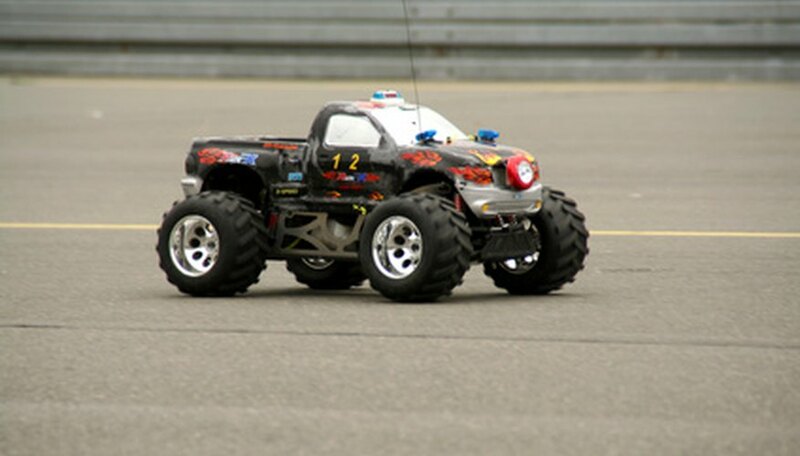 Remote control vehicles are notorious for draining battery power at a startling rate, due to the need to power circuitry and various motors running nonstop. However, by converting a normally battery-powered car to solar power, you can energize your remote controlled vehicle endlessly using the power of the sun alone. Luckily, this conversion is a simple matter, and can be completed in roughly a half an hour or so. Unscrew the pins holding the car’s aesthetic top on and set it aside. Flip the car upside down and locate the battery panel. Unscrew the door to the battery panel and set it aside as well. Remove any batteries present in the battery chamber and locate the positive and negative terminals, denoted by “+” and “-“ symbols respectively. Wrap the ends of a hobbyist solar panel’s wires around the positive and negative battery terminals, positive to positive and negative to negative. Secure each connection applying solder. Flip the car back over and thread the wires from the solar panel away from the tires. Secure them and the solar panel itself to the body of the car with duct tape, making sure the panel is facing directly upwards. Take the car outside into a source of direct, consistent sunlight and attempt to drive it with the remote control. After several seconds of charging, the panel should begin the power the car. Gaither, Jordan. "How to Build a Solar Remote Control Car." Sciencing, https://sciencing.com/build-solar-remote-control-car-6130950.html. 24 April 2017.